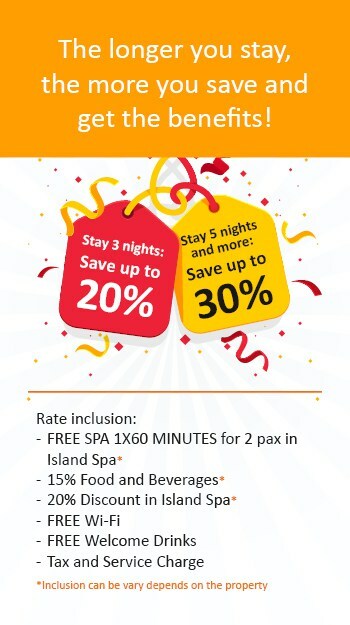 Sun Island Bali showcases Fun, Your Way! We will take you to experience hospitality with the generous smile Bali is renowned for. Each of our Bali hotel/villa is located in a prime location, with easy access to Ngurah Rai International Airport, beaches, shopping and attraction destinations. Each is unique and well equipped with outstanding facilities and professional and friendly service. A reliable and dedicated banquet team will be ready to make your most important day memorable to everyone, while you will be assisted by our Wedding Specialist who will attentively listen to you and provide you with suggestions when they are needed. Let our team cater your business meeting, gathering, event, conference and private parties in Bali with courteous and professional service. We provide adequate space and competent assistance to meet all your meeting requirements. At Island Spa, you will be taken to connect with your inner self and feel the flow of the universe within you. Island Spa uses selected products using ingredients extracted from nature’s generosity. By each of the specially treatments. Sun Island Bali showcases Fun, Your Way! 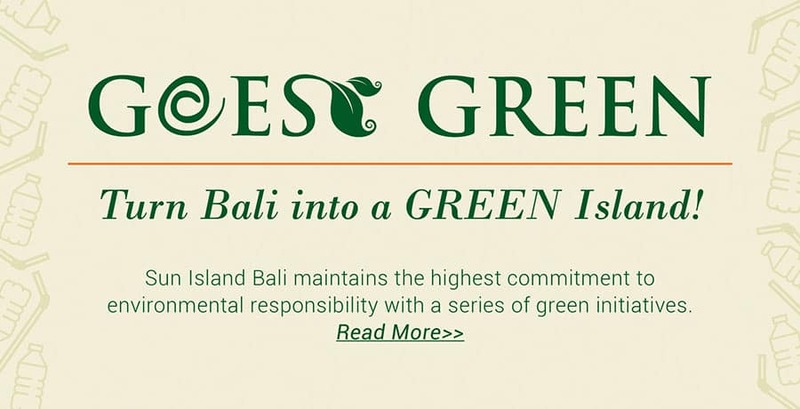 We will take you to experience hospitality with the generous smile Bali is renowned for. Each of our Bali hotels/villas is located in a prime location, with easy access to Ngurah Rai International Airport, beaches, shopping and attraction destinations. Each is unique and well equipped with outstanding facilities and professional and friendly service.